Put the Elite League on Notice, this Belfast Giants team mean BUSINESS. 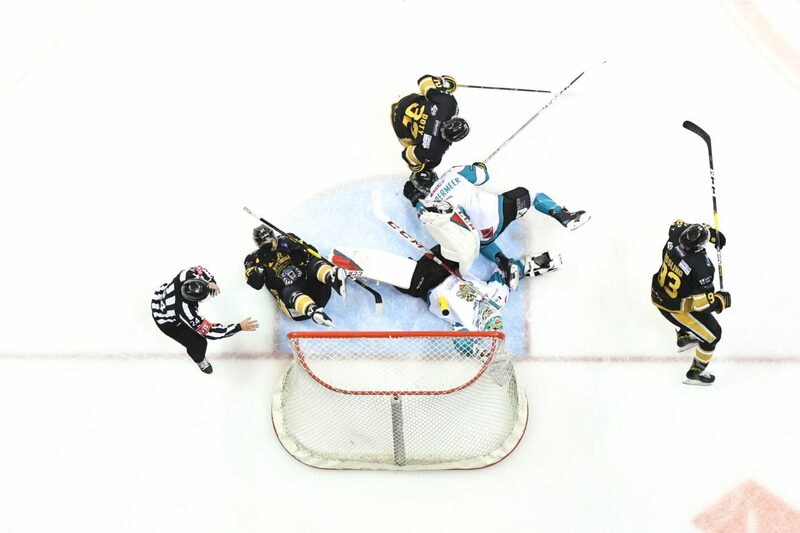 With a 4 goal shut out in Nottingham and a complete mauling of the League Champions on their own ice, Adam Keefe’s side have shown the entire league their credientials in this title race as they wiped out the Devil’s “games in hand” margin and strenthened their position at the top of the Elite Ice Hockey League. The first half of the Giants road run comes to an end with only 1 defeat from the 10 consecutive away games. A magnificent record that has the Giants with 15 wins in 16 games. This record was galvanised this weekend firstly in the NIC where a second period flurry of goals from Murphy, Raine and Bishop gave the Giants a solid hold of the match. The Panthers offered very little in reurn, being out-shot on home ice and showing little to no battle as the game slipped away. Icing on the cake was placed by David Rutherford on the powerplay to make it 4-0. 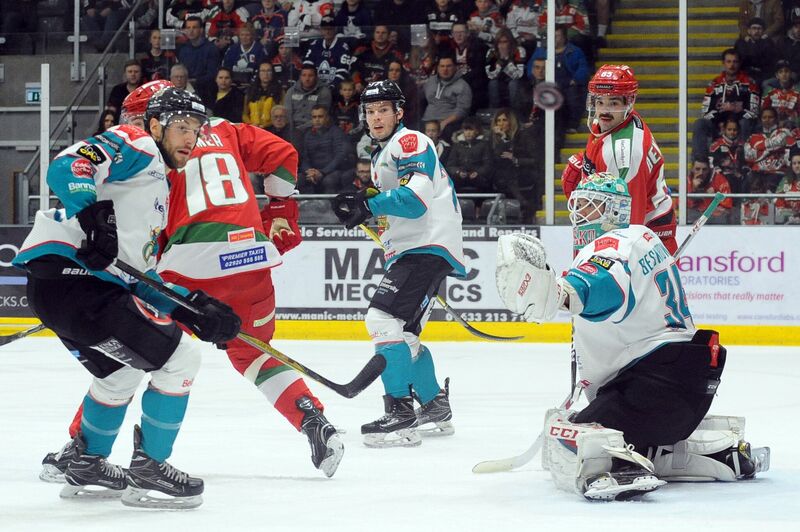 Yet argualbly the biggest challenge came on Sunday evening with the Giants first visit of the season to Ice Arena Wales and their first meeting with the League Champions. There was an anxiety around this fixture as it ended the first part of the Road Swing and anything other than a win could put a dampner on a good trip. That anxiety was illfounded as the Giants ran over the Devils 8 (Eight) -1. A magnificent performance form the EIHL’s in-form team. Half of those eight goals came from Kyle Baun, two from Jim Vandermeer, and one each from Blair Riley and Darcy Murphy. Tyler Beskorowany conceded only 1 goal in the two games. The Devils had little to no match for the Giants offensive power, their defence now lacking Ben Blood, yet his replacement Evan Mosey looked out of place in more than one occasion. Such was the one sided nature of the game, Ben Bowns was replaced early int eh final period as the game, and the spirit of the Devils both on the ice and in the stands slipped away. 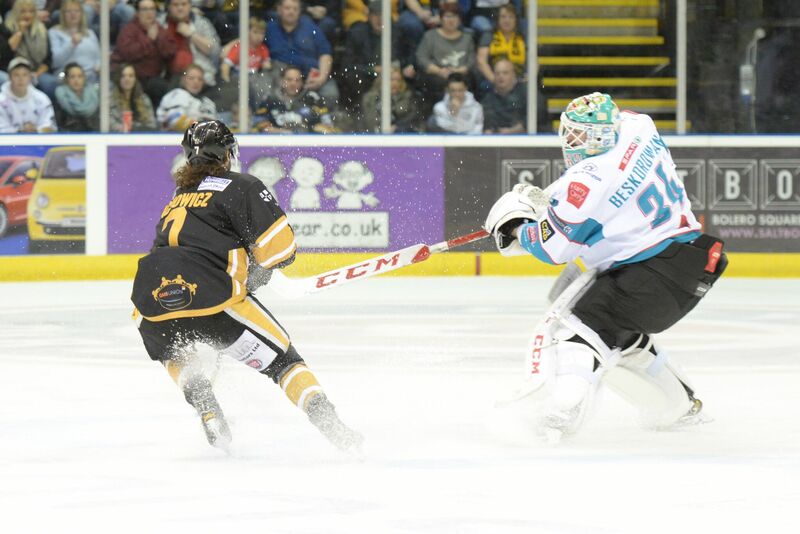 The Belfast Giants pick up another 4 points, and finish the road swing strongly. Next up, Continental Cup Action on Thursday Night with Medvescak Zagreb, and the return of Sebastien Sylvestre to take on his former team. But lets not the significance of this road swing be lost. 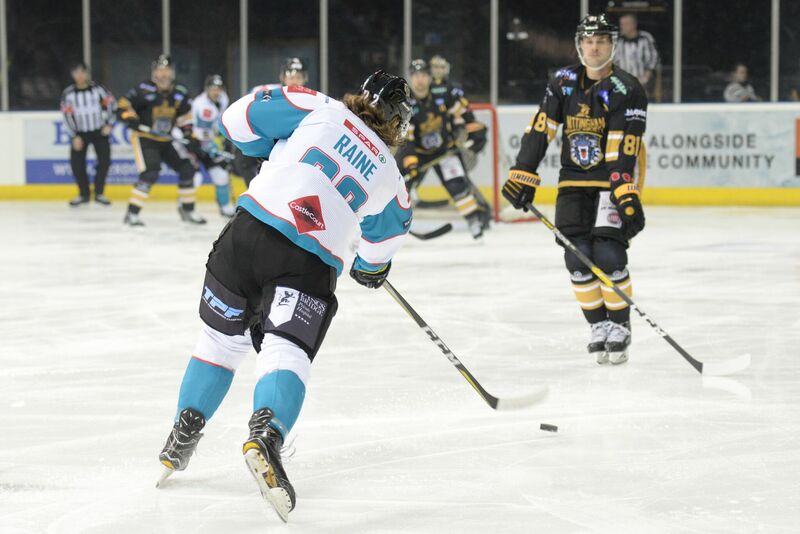 Keefe Says Giants “Need To Be Ready” As Panthers And Devils Lie In Wait.